(ANSAmed) – TEL AVIV – As part of the Jewish Passover, which begins on Monday and runs for a week, a nationalist Jewish group plans to conduct the “ritual sacrifice” of a lamb on Temple Mount for the first time, where 2,000 years ago the Temple of Jerusalem was located. 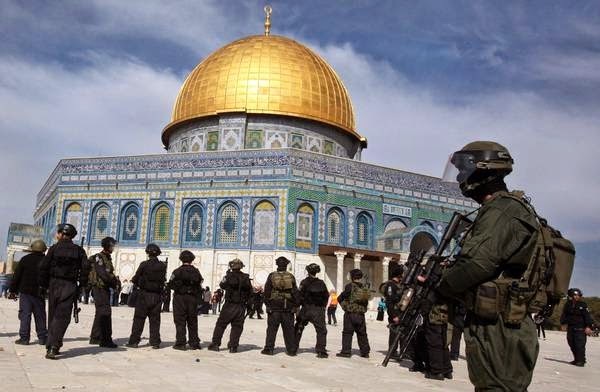 The nationalists’ plan to carry out a Jewish rite in one of the main holy sites of Islam has alarmed Palestinian Muslim leaders as well as Jerusalem police, who in order to prevent public disturbances will be obliged to adopt severe security measures. “This year we will not be celebrating Passover at home. We’ll be celebrating it on Temple Mount,” said the group Hozrim El Ha-Har (‘We will Return to the Mount’ in Hebrew) on Thursday. The initiative is likely to aggravate existing tensions in East Jerusalem between Arabs and Jews, said Palestinian ambassador to the UN Riyad Mansour in a letter to the UN secretary general, the head of the Security Council and that of the General Assembly. Mansour added that “the constant incursions of extremists into the area around the Al-Aqsa mosque and the restrictions imposed on Palestinian worshipers may aggravate the political climate,” and called for firm intervention by the international community and the UN Security Council.